The sports car among luxury sedans. Porsche stands for building unique cars, and the Panamera is one such car developed for sports car drivers who appreciate four doors and four seats, and for sedan drivers who swear by sports cars; opposites which the Panamera reconciles in superior style. The second generation of the Panamera is advancing to become a performance icon of the luxury class. 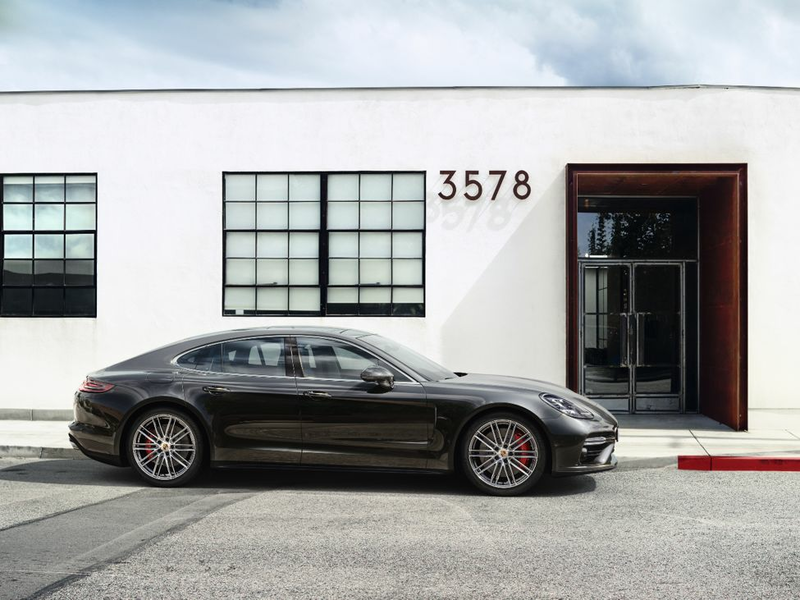 In this evolution, Porsche has systematically improved the Panamera concept – with a four-door car that has been redesigned and restyled down to the last detail. Its engines and chassis are completely new, and the human machine interface concept and display are interpreted for a tech savvy audience by incorporating multi-touch gesture control. The new Panamera extends the borders between an ambitious sports car and a comfortable cruising sedan with technical highlights such as rear-axle steering, electromechanical roll compensation and a three-chamber air suspension. The new Porsche Panamera – reworked from the ground up – meets high standards as both a sports car and a grand turismo. 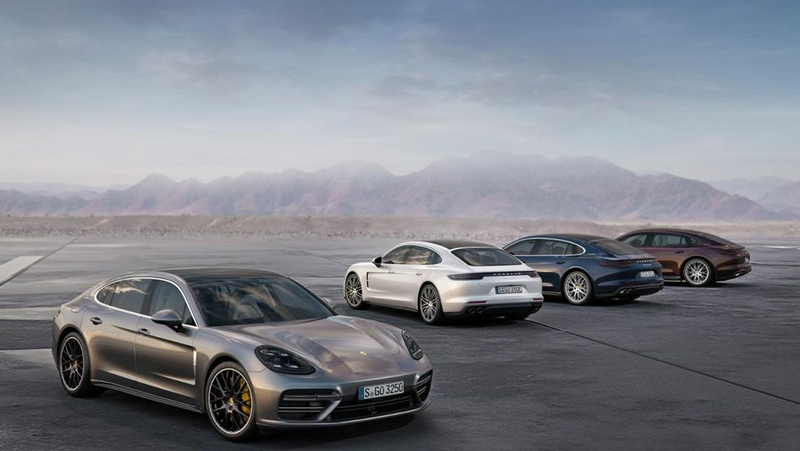 At its launch, the second generation of the Porsche Panamera will be available in two all-wheel drive versions: Panamera 4S and Panamera Turbo. Four-door sports car. The concept of the four-seat sports sedan combines the performance of a high-performance sports car with the comfort of a luxury sedan. The trunk and folding rear seat backrests combine to allow up to 46. cu.-ft. (1,304 liters) of luggage volume making the Panamera the most versatile model in its class. Expressively designed – with extended, dynamic proportions, atheltic shoulders and an extremely fast roof line, this is an evolutionary design. This flyline is typical of Porsche cars and forges a stylistic link to the 911 design icon. Two new twin-turbo engines: Panamera 4S: 2.9-liter V6 gasoline engine with 440 hp. Panamera Turbo: 4.0- liter V8 gasoline engine with 550 hp. New Porsche dual-clutch transmission (PDK) with eight speeds. All-wheel drive for all models. Broad spread between performance and comfort characteristics raises standards in the luxury segment. New features include rearaxle steering, three-chamber air suspension, electromechanical roll stabilization system dubbed Porsche Dynamic Chassis Control Sport (PDCC Sport) with Porsche Torque Vectoring Plus (PTV Plus), as well as networking of all chassis systems via 4D Chassis Control. A new lightweight body utilizes an optimum mix of aluminum/steel hybrid construction for increased rigidity. Increased use of aluminum: outer door panels, hood, hatch and front fenders – now include large body-in-white parts and the entire side panels and roof. Chassis panels are combined using hemming, flow-drill screws, rivets, and welding. 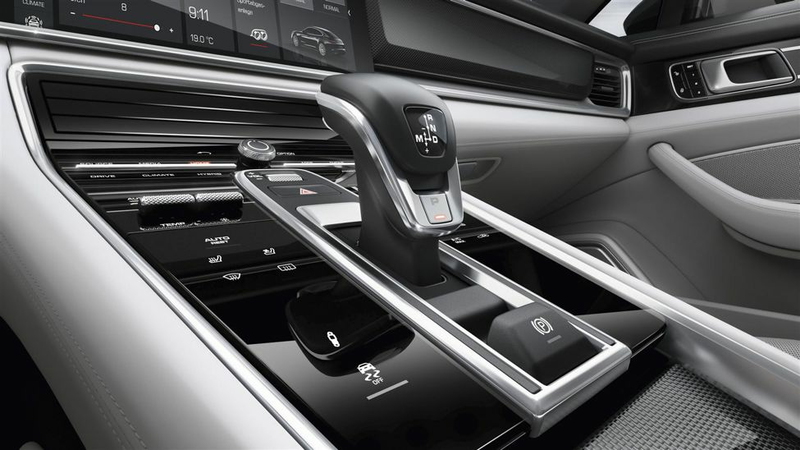 Featuring Porsche Advanced Cockpit and state-of-the-art connectivity, the new Panamera utilizes black panel surfaces and interactive displays to combine the visual and intuitive operation of smartphones with the practical aspects of controlling an automobile. New LED Matrix headlights and new assistance systems such as Porsche InnoDrive and Night Vision Assistant improve efficiency and driver support. The team at Momentum Porsche has been going into detail about the advancements and advantages of the newly designed Panamera with current owners. This is just a glimpse into what’s in store for new owners of this amazing new vehicle.